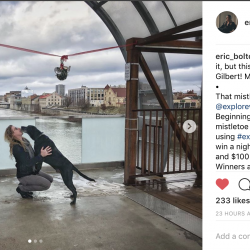 Please note, this contest is now closed. 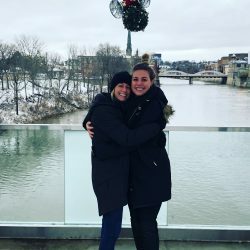 Thank you to everyone who participated! 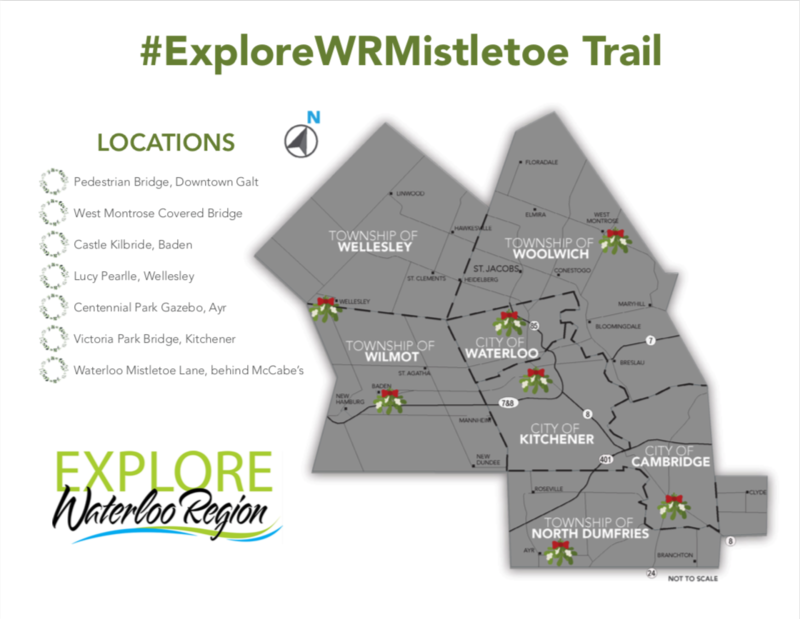 Pucker up, and get ready to Explore Waterloo Region this holiday season by heading out on the #ExploreWRMistletoe trail – a trail of 7 Instagrammable locations where the mistletoe has been hung. 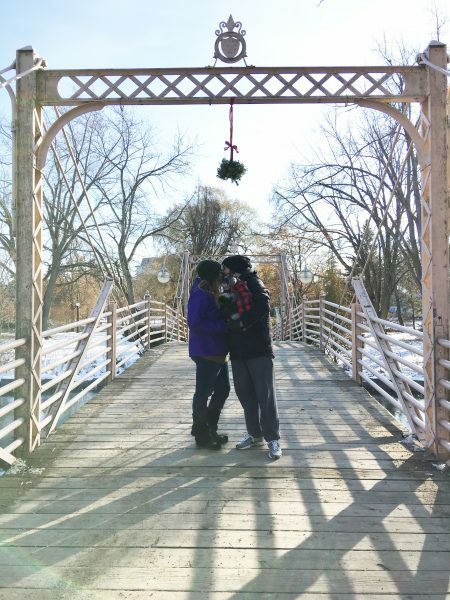 You and someone special are invited to visit to share a kiss – and a picture for a chance to win a prize! 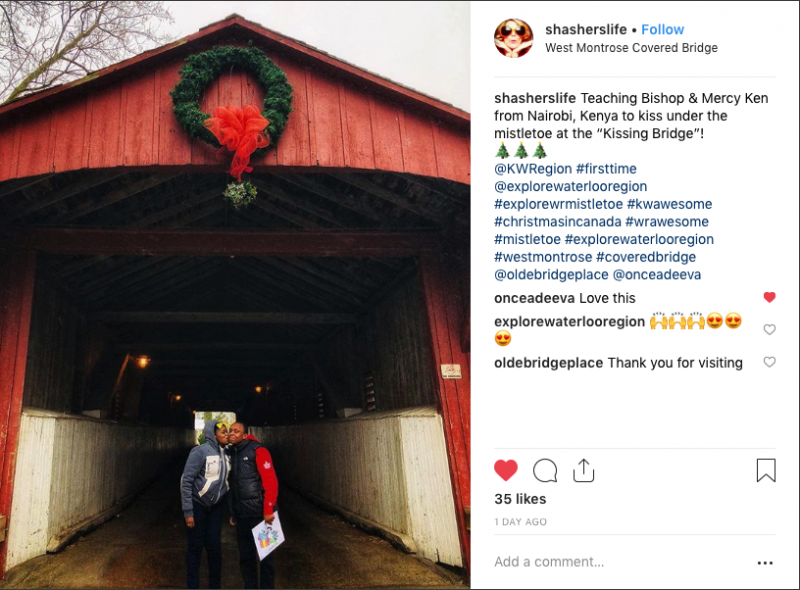 Share your Mistletoe Trail pictures using the hashtag #ExploreWRMistletoe, and follow the fun on Instagram at @explorewaterlooregion! 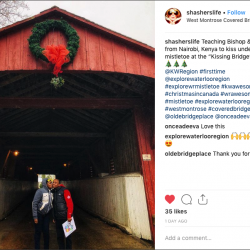 Tag Your Mistletoe Trail Pictures and Win! For each #ExploreWRMistletoe picture you share showing you and yours under the mistletoe at one of the designated locations, your name will be entered to win a romantic Mistletoe Trail Date Night Package, consisting of a gift certificate for dinner at Red House, Waterloo’s hottest bistro restaurant, and a one-night stay at the iconic Walper Hotel in downtown Kitchener (package valued at $350.00). 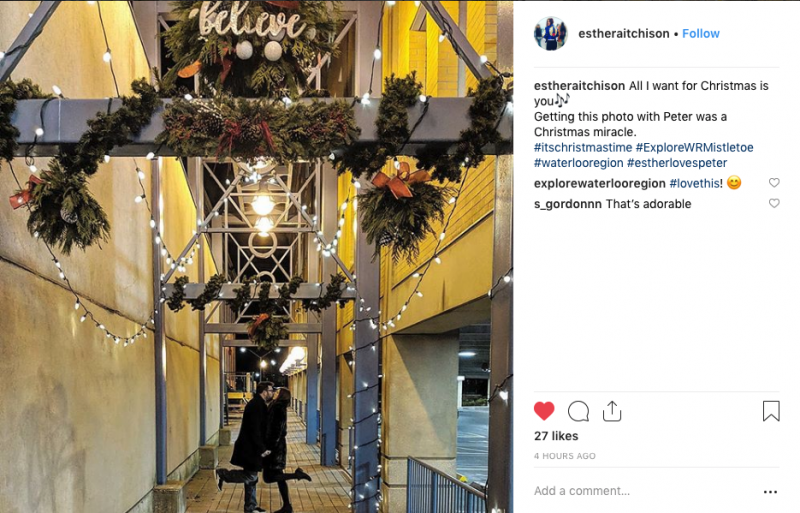 Pictures must be posted by midnight on December 23rd, 2018 to be eligible for the prize. 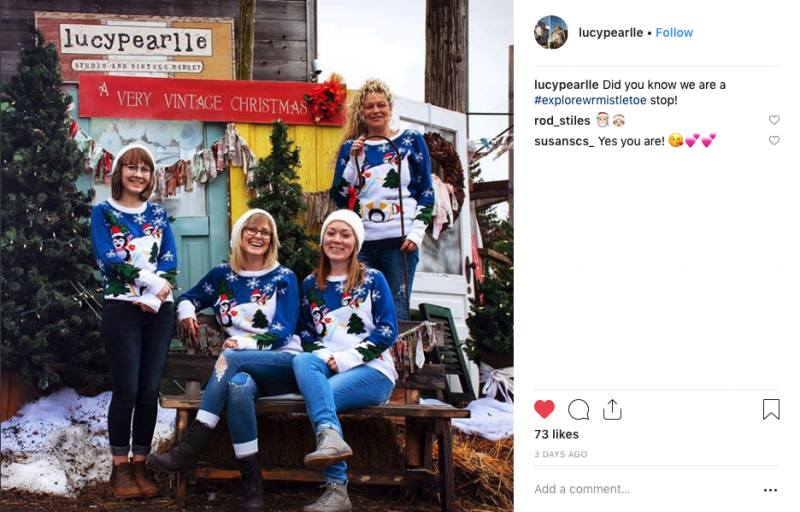 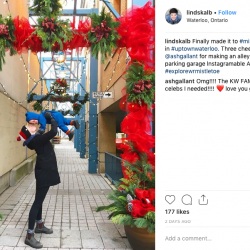 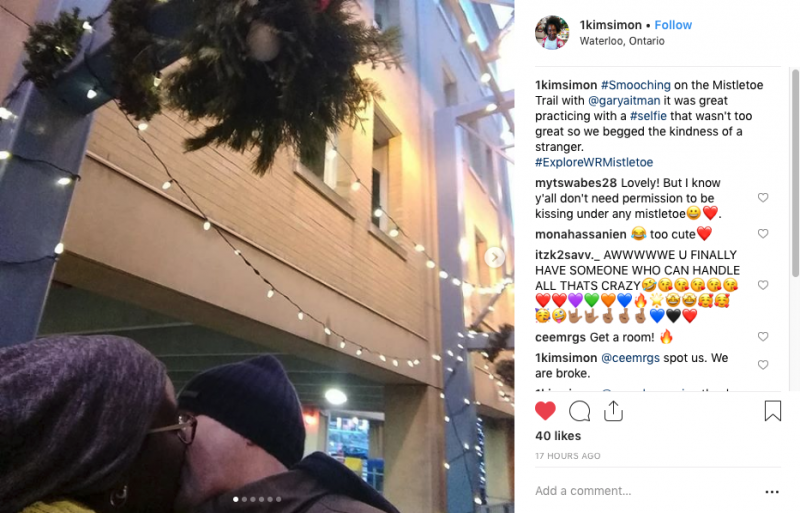 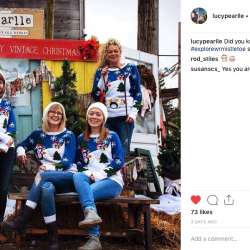 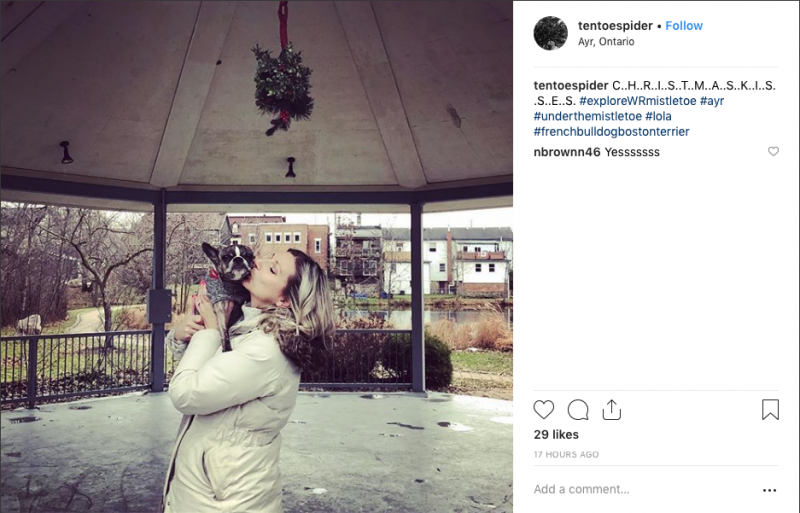 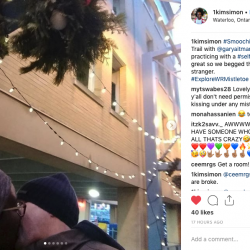 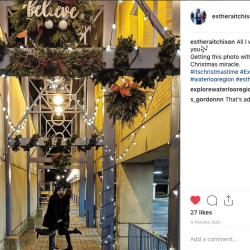 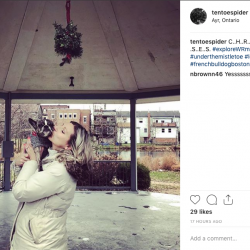 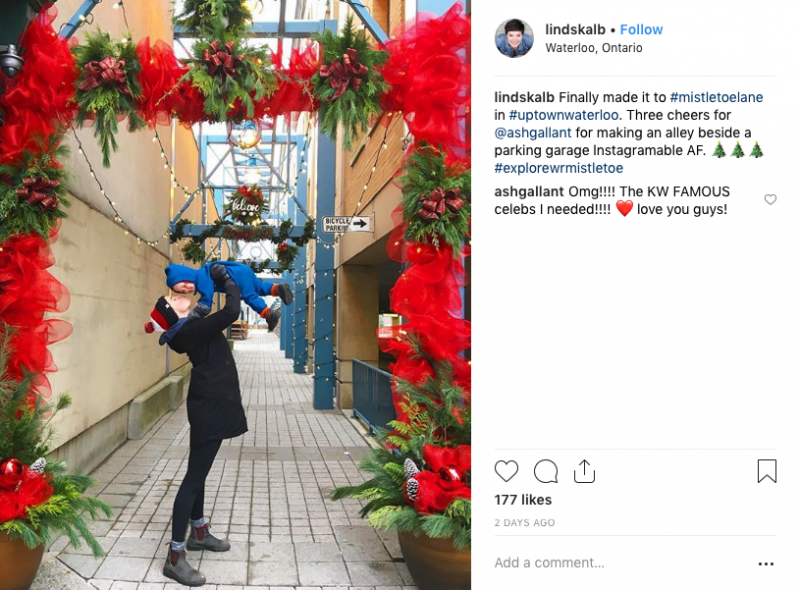 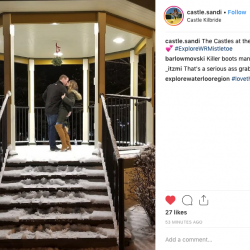 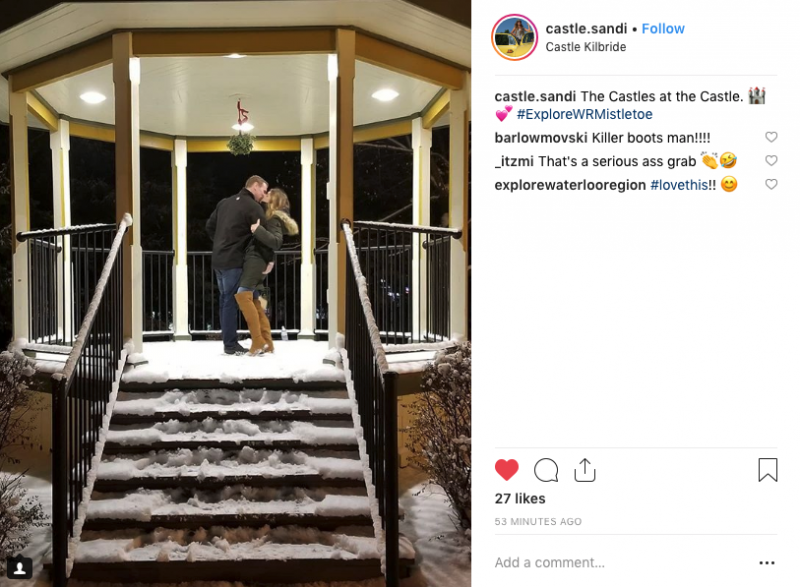 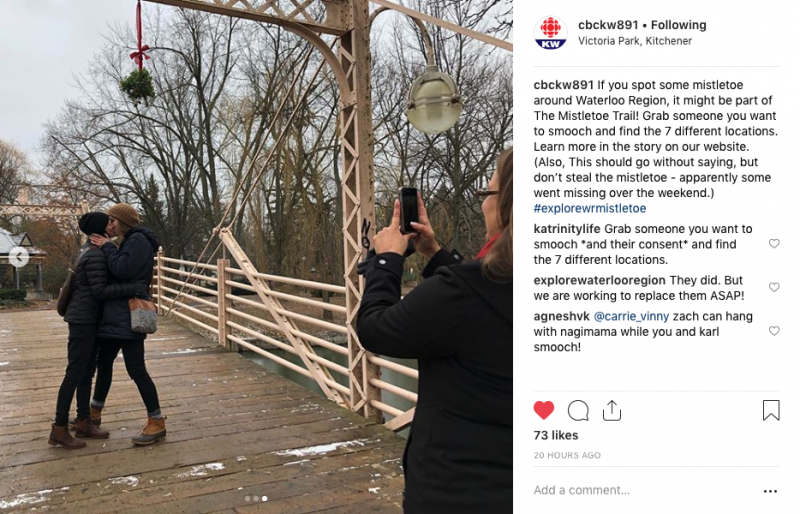 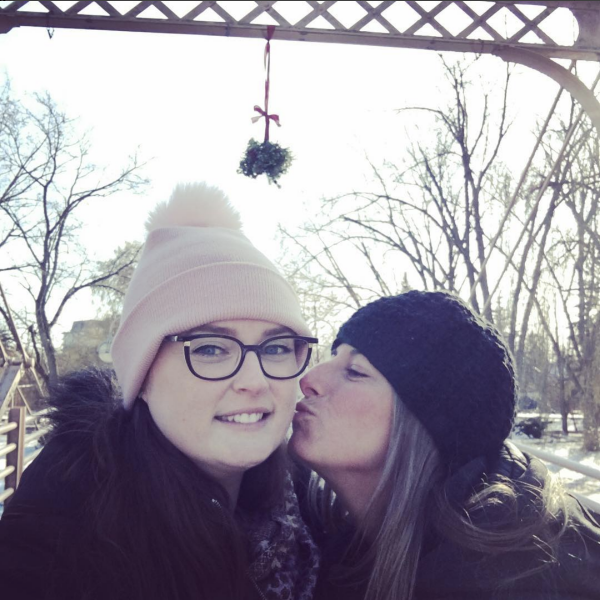 So pucker up, and get ready to share the love – and your Instagram pics – this holiday season, as you head out along Waterloo Region’s Mistletoe Trail! 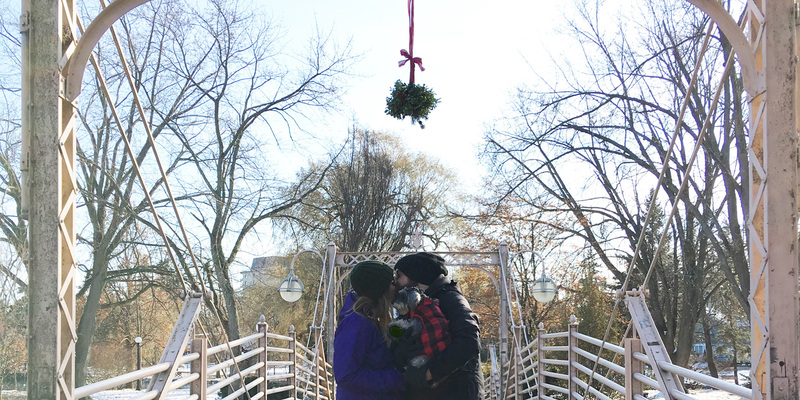 We are hearing reports that a Grinch is stealing our mistletoe! 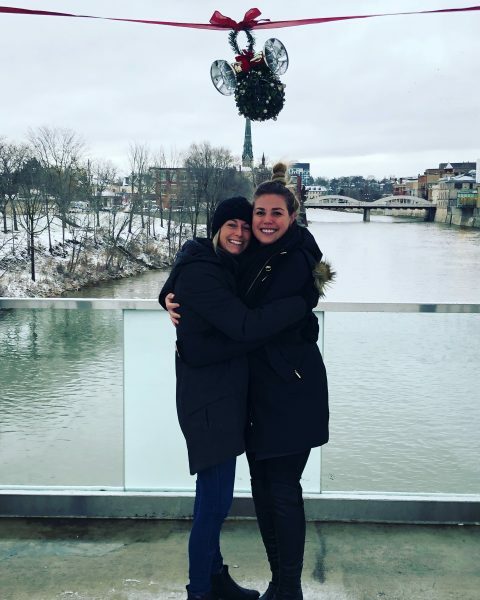 We are working to get them replaced as quickly as possible, but if you see one that’s missing, please let us know! 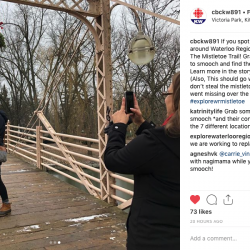 After you snap your photo, see how else you can #ExploreWR at each location!